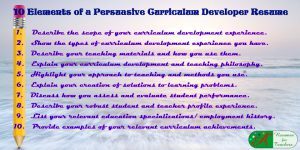 It is imperative you submit an exceptional educational leadership resume or curriculum vitae CV when applying for an administrative position in the world of academia. 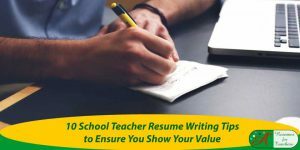 Submitting a resume to show you are a valuable education leader is vital to securing interviews. Competition for this type of position is very aggressive, so you need to make yourself stand above the crowd. Let’s get started, so you can get school district representatives phoning you and requesting an administrator interview. 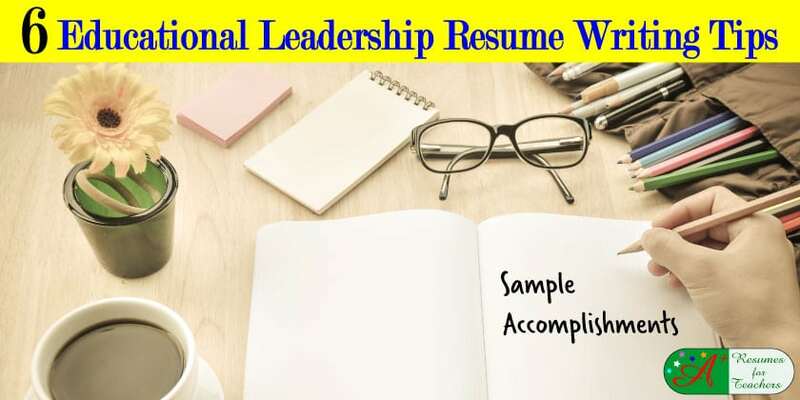 Your education leadership resume must convey your school leadership skills, a progression of responsibility, administrative accomplishments, and the other talents and traits that come with the territory. 6 Highly Effective Tips for Writing and Submitting an Educational Leadership Resume to Show Your Skills. 1. Prove you have transferable skills if transitioning from a teaching position. School Principals and Vice/Assistant Principals take on a different set of responsibilities than that of a classroom teacher. If you are transitioning to the role of Educational Administrator, you will want to make your leadership skills and achievements stand out. 2. List educational administration related areas of skill and expertise. 3. Incorporate your educational leadership style. There are many different types of leadership. Are you a Transformational Leader? Democratic? Authoritative? Visionary? Visible and accessible? Are you a combination? Include your leadership style in the introductory paragraph of your education leadership resume or curriculum vitae CV. You can review this excellent post on one of my favorite websites Edutopia titled What Makes a Great School Leader. 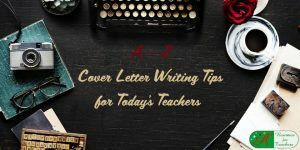 Communicate your education leadership style in your cover letter or application letter as well showing your passion for leading to enhance students’ lives. 4. Use separate sections to showcase your school administrative, leadership, and teaching experience. 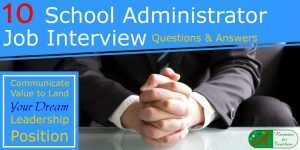 When applying for a school administrative position, you will want to list the relevant jobs you have held, correlating duties, and professional accomplishments. These should be put under a separate heading on your educational leadership resume, ensuring your leadership experience stands out. 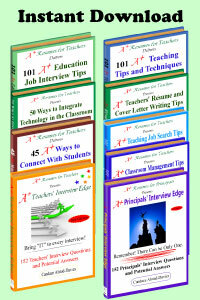 Develop an additional section devoted to your time spent in the classroom. Again, you will want to list the jobs, corresponding responsibilities, and achievements. If there are any leadership skills, traits or initiatives you demonstrated while serving as a teacher, include those in your resume. 5. Incorporate school committees and district teams in which you have participated. As an educational leader, you should be an active member of numerous school-wide and district-based committees. You can either list these under each relevant position you have held or create a separate heading in your educational leadership resume. Mention the position you held, as well as the length of time you were involved. If you attended any of the ASCD numerous educational leadership conferences or seminars from any associations make sure they are listed on your resume or CV. They will build your education leadership credibility. 6. Set aside some space for community involvement and volunteer work. Being an administrator means playing an active role in the local community. If you are applying for a position as an academic leader, make sure you highlight volunteer experience, including the position held, the organization where you volunteered, and the length of time you served. If you are short on community involvement, do your best to find an organization to become involved in – not just for the sake of your resume, but for contributing to the local community as well! What was the Challenge? Reflect on the Action you took. Determine what the Result was. Raised student recruitment numbers over the course of three school years from 350 to 500 students by holding regular open house sessions, handing out pamphlets, and being actively involved in the local community. 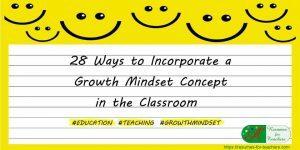 Instrumental in increasing overall test scores for struggling learners by 15% by researching and implementing well-rated professional development workshops that focused on instructing at-risk students. Wrote and applied for numerous grants, receiving over $16,000 for new technology in the classroom. Decreased student absenteeism to almost being non-existent by integrating a school-wide positive reinforcement program that focused on rewarding student attendance. Reduced disciplinary incidents and referrals 50% by creating a behavior intervention plan that could easily be adapted to suit all levels of learners. Launched a successful new foreign language program to help students learn French and Spanish. Boosted parent involvement in the school community by personally contacting each family. Provided parents with resources and assistance if their child was struggling. Maintained the school website to keep parents informed of upcoming school activities and events. Served as a school leader for the district in a pilot program focused on going completely paperless. Collaborated with teachers to design technology-based lesson plans, allocate useful resources, and perform electronic assessments. Collaborated with key stakeholders from ABC School District and DEF District in the planning and development of annual professional development sessions for K– grade six teachers. Led the school in gaining re-accreditation as a Montessori program by submitting all documentation and following up. Raised workplace morale by hosting monthly staff luncheons and events, encouraging collaboration and brainstorming and maintaining an open door policy and democratic leadership style. Increased camaraderie and enthusiastic by created a course specifically for staff members called Reducing Stress Through Yoga and Meditation. Developed, maintained, and use technology applications to track progress on school performance objectives, standards compliance, and academic excellence indicators. Including educational leadership skills and achievements are critical to secure job interviews. Communicating that you effectively led teams or committees along with the results will provide evidence. Back up what you can do to substantially bring enormous value to the school district by providing examples of leadership successes. Achievements should be a top priority when writing an educational leadership resume. 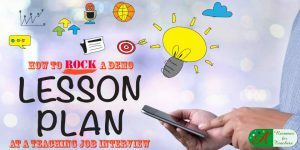 If you are unsure of what direction you would like to take your educational career, you might be interested in a post titled 10 Hot Education Career Trends for Teachers in 2016. 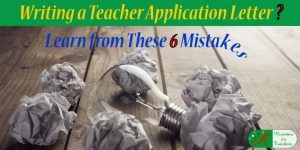 If you need to review an elementary school principal resume example or the corresponding application letter for an educational leader to get more ideas. Reach out to us for professional help writing your educational leadership resume or curriculum vitae CV or with the imperative application letter. 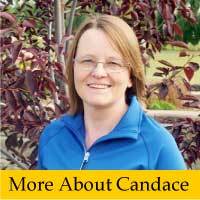 Learn more about Candace, an academic resume writer with 16+ years of expertise helping educators and others to move their career forward. 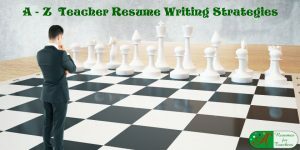 Review our resume and curriculum vitae CV services and packages.